Just an outstanding drum. Sounds and looks fabulous! I've always liked Yamaha's Absolute series drums. I unfortunately had to sell my Beech Custom Absolute snare about 4 years ago, and ever since I've wanted to buy another high-end snare drum. When Yamaha introduced the Absolute Hybrid series at NAMM 2014, I was very excited - I liked the Nouveau lugs and the new hook lugs seem a sensible step forward, and the price is very reasonable for a quality drum. 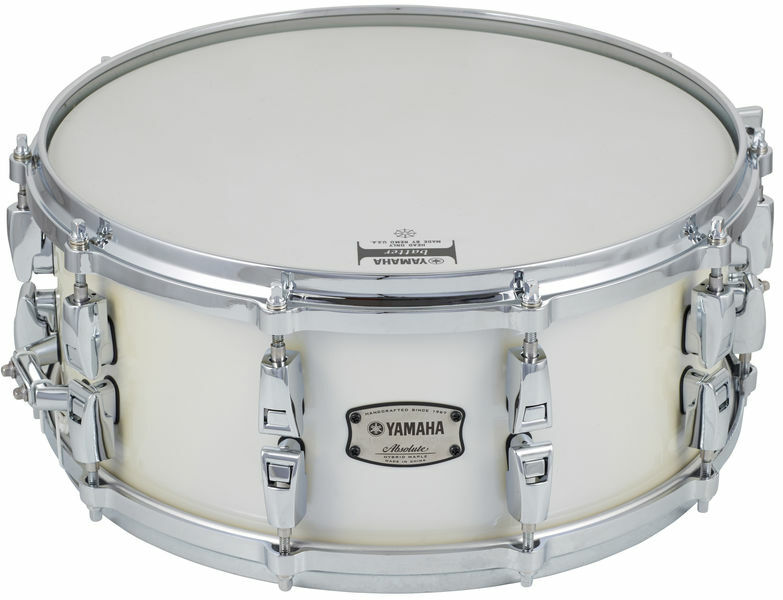 I ordered the Polar White snare, which is a gorgeous slightly pearlescent off-white colour (much more subtle than the white pearl finish of the Custom Absolute). Everything about the drum screams quality - solid die-cast hoops, chunky smooth (if a little stiff at first) lugs, perfectly cut bearing edges. Yes, they're made in China, but that doesn't mean it has to be bad - China has plenty of highly skilled craftsmen, and this drum series demonstrates that. The stock heads are... stock heads! Made by Remo, but definitely a step down from their own brand heads. Useful to keep as spares though. I replaced them almost straight away with a CS Dot batter and an Ambassador Hazy reso, and the drum came alive. Huge tuning range, and with the lugs being so solid I've not experienced any tuning drift. 6" is a little deeper than I'm used to in a snare - I'd love to see a 5" - but tuned high it provides plenty of snap, backed up with a warm full tone and plenty of sustain. 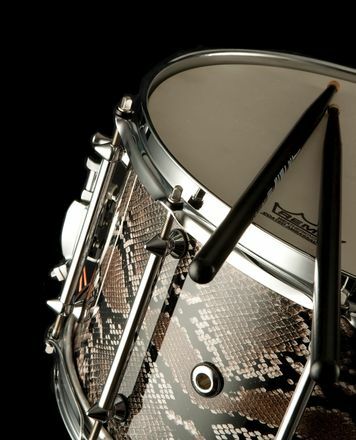 No one snare is perfect for everybody, and sometimes different applications require different tones. But as general purpose wood shelled snare drums go, this Yamaha Absolute Hybrid Maple snare ticks all the boxes for me. Recommended! Wyświetl Yamaha Werble Drewniane 14"
ID: 333025 © 1996–2019 Thomann GmbH Thomann loves you, because you rock!